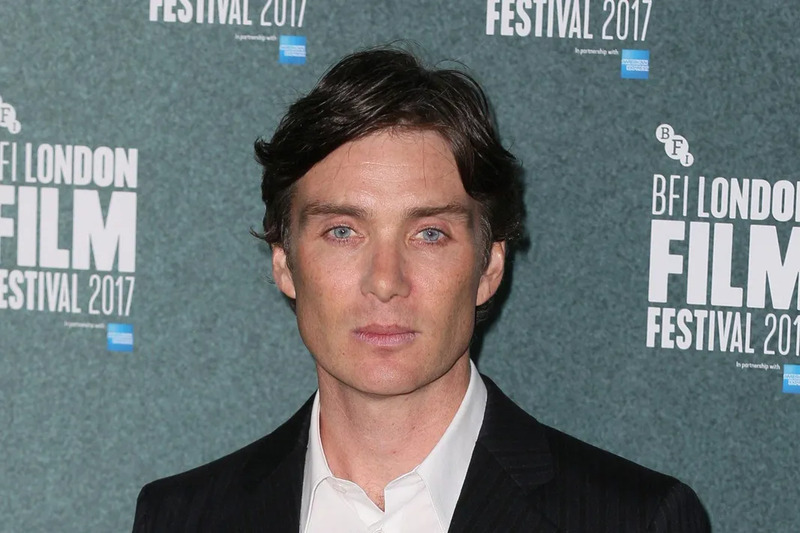 While there are so many Hollywood stars who are married to fellow celebrities, there are also others who are married to non-celebrities and Cillian Murphy happens to be one of them. The award-winning actor is happily married to his long term sweetheart and love of his life, Yvonne McGuinness. While Cillian has become a prominent figure in the entertainment industry, his wife Yvonne, who is a well-established visual artist and producer, has been doing what she knows how to do best behind the scenes. Read on as we unveil everything you need to know about Cillian Murphy’s wife below. Yvonne McGuinness is a renowned Irish visual artist, whose outstanding works including live performances, video installation, and printing artworks has made her a standout figure in the UK and Ireland. She has carried out several projects including art exhibitions and her works speak for themselves. In addition to being an artist, Yvonne is also a producer and has been credited for her works on short films such as Charlie’s Place, Procession, and This is Between Us, among others. She came into the limelight following her marriage to her longtime sweetheart and love of her life, Cillian Murphy. The pair has been married for over a decade and counting. Learn more about Yvonne McGuinness in these facts below. McGuinness was born on the 12th of October 1972 in Kilkenny, Ireland to Gay McGuinness and his wife. Her father is the owner of a French Vineyard called Domaine de Notre Dame des Anges Vineyard, which he founded in the year 1990. She also has an uncle named John J. McGuinness, a well-known Irish Politician and parliamentarian. The talented visual artist has acquired qualitative education over the years. After she completing her basic education in her hometown, Yvonne McGuinness enrolled at Crawford College, Cork where she got a Bachelor of Arts degree. Upon graduation, she proceeded to the Royal College of Arts, London where she acquired a Masters degree in visual arts, graduating in 2002. After she left school, it didn’t take long for Yvonne McGuinness to establish herself as a visual artist. She has successfully organized art exhibitions in the UK, Ireland and beyond. Notably, she successfully launched her first art exhibition tagged ‘Vehicle’ in 2005 and it was held in a mobile library in Cork. A noteworthy fact about Yvonne’s works is that she usually combines videos with her own writing which gives an outstanding output. She has also taken her career to visual editing and has been credited for producing several short films such as Procession, This is Between Us, and Charlie’s Place, to name a few. Yvonne McGuinness is a happily married woman and a mother of two children. She got hitched to Cillian Murphy, a famous Irish actor in 2004. Cillian is popular for his works on movies such as Intermission (2003), Red Eye (2005), The Dark Knight Trilogy, among others. He began his career as a rock band musician and while performing in a show in 1996, he met his future wife Yvonne. Afterwards, they ignited a relationship which lasted for about eight years before they made it down the aisle in 2004. The couple has two kids, sons named Malachy and Aran. Their first son, Malachy, was born in December 2005 and two years later, Aran followed. Due to Cillian’s nature of work, their family has lived in London and now reside in Dublin, Ireland. The amazing visual artist has been active for over a decade and has successfully delivered several projects. She has made huge wealth from her career and is currently living a decent lifestyle. However, her financial value is currently not available as it is still under review. Meanwhile, that of her husband Cillian is currently pegged at $15 million. Yvonne McGuinness is a very smart and talented lady with an impeccable personality. She stands at a height of 5 feet 5 inches and she also weighs a commensurate 53 kg. In addition to her gorgeous physique, Yvonne sports body measurements of 29-22-31 inches for her chest-waist-hips respectively. She also wears a bra of size 34A and rocks brown hair with her dazzling blue eyes.